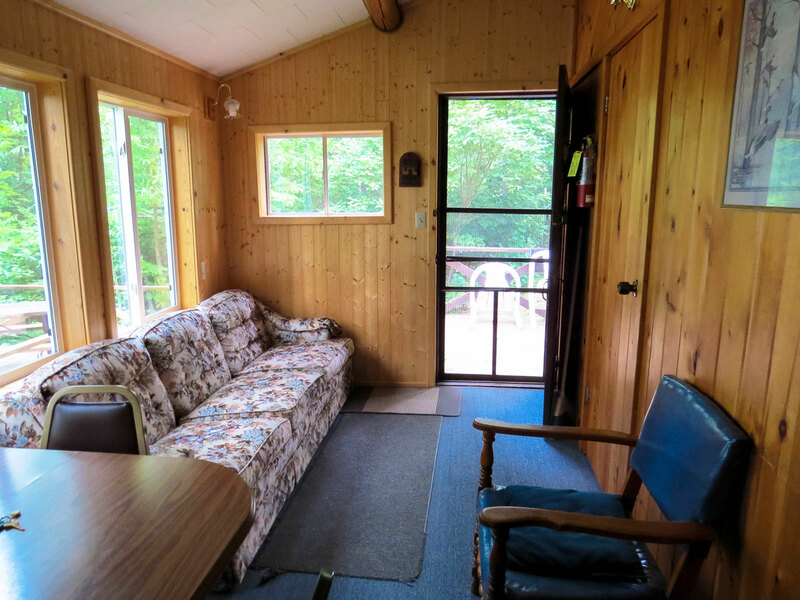 Beautiful knotty pine and large windows provide a wonderful cabin experience for up to four people. 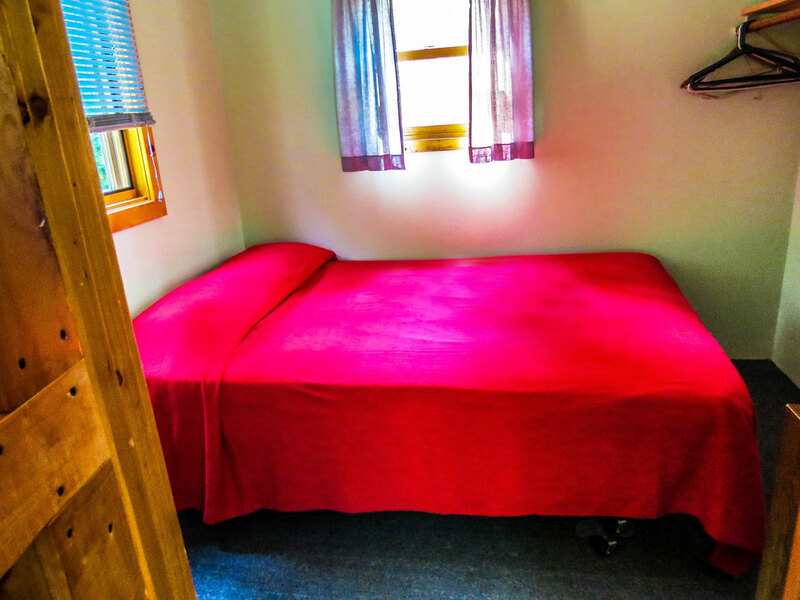 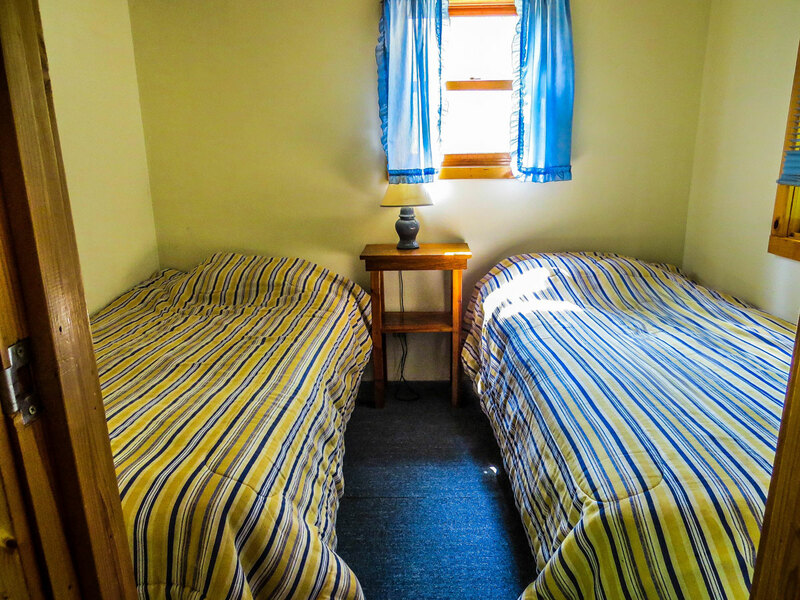 Cabin 7 has two bedrooms with one double and two twin beds and overlooks the lake. 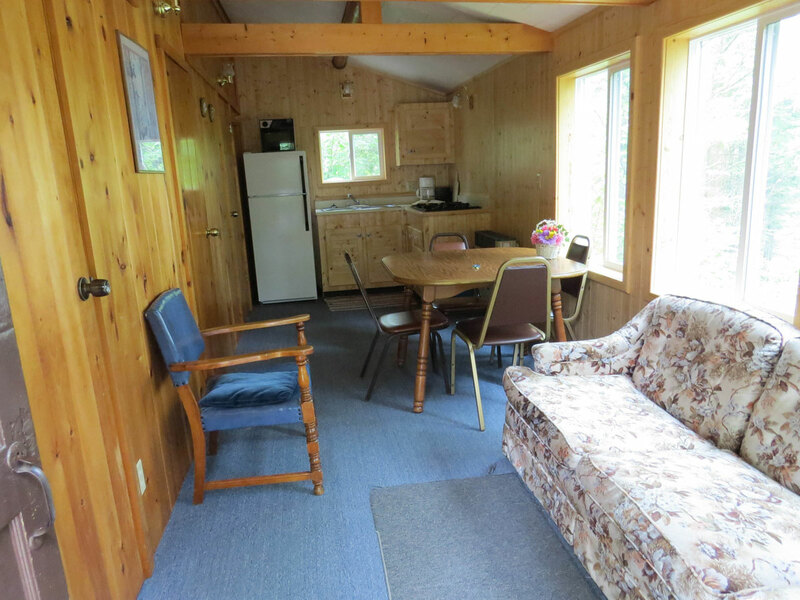 It also has a remote deck with picnic table and a charcoal grill. 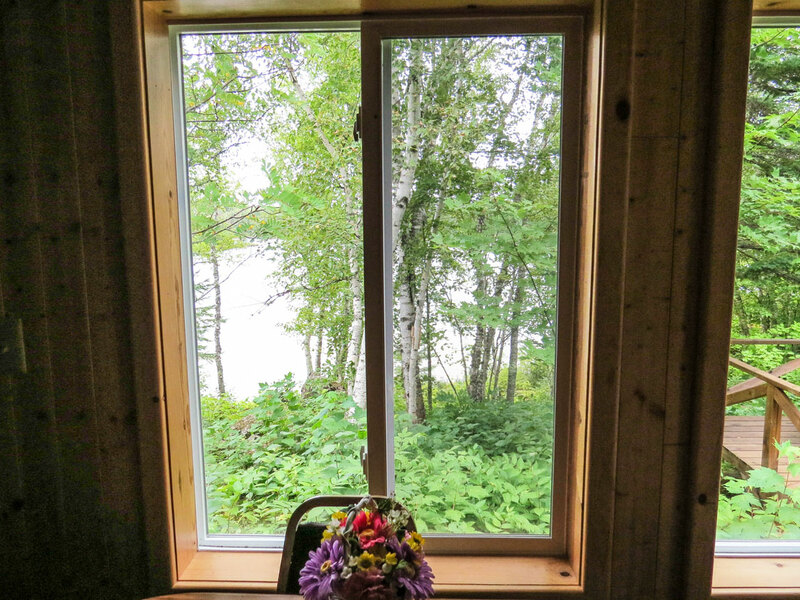 The walk to the main beach area via trail takes about a minute and that is where the boats are located.